A giant limited edition dragon skull. 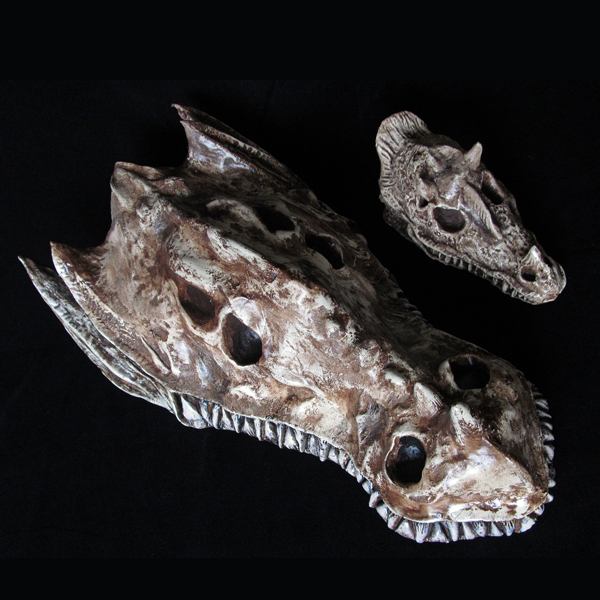 Approximately 16 by 9 and shown next to our regular dragon skull for a size comparison. 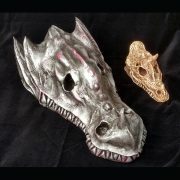 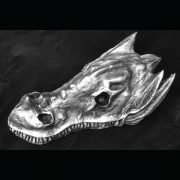 The giant dragon skull is highly detailed and has a wall mounting loop set into the back for placing on a wall, or it can be displayed flat on a desk or shelf surface. 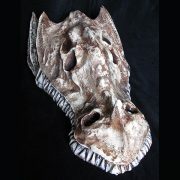 Available in regular weathered bone finish or an aged silver effect. 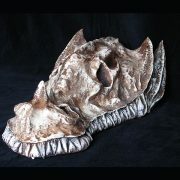 This is a limited edition model and once the production run has finished it wont be available again. If you want a custom colour just email us through the contact link on the site.